Looking to explore our stunning city centre? 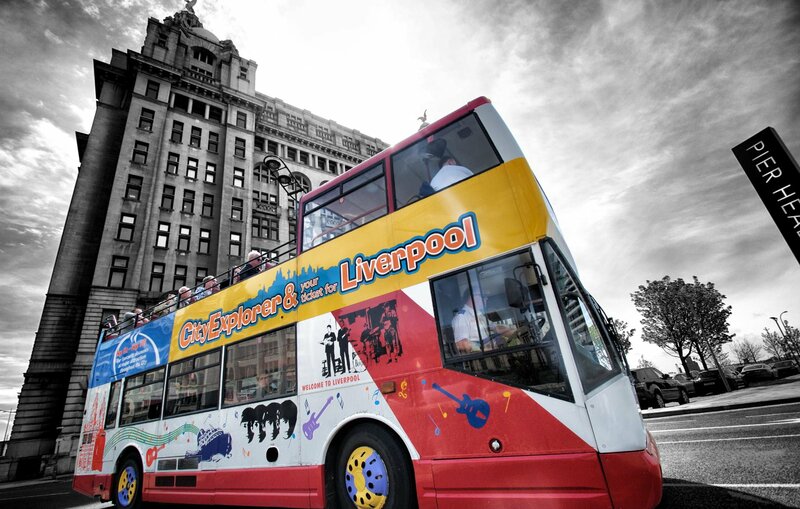 The City Explorer Liverpool Tour is specially curated to show you the best of Liverpool on board one of our open top busses. Along the Journey you will be accompanied by one of our expert tour guides who knows everything there is to know about the iconic stops and the rich history behind each and every one. And many more! For the full list of stops and attractions you will get to see on the tour, check the tour information page here: For bookings, you can purchase tickets through the official website here or turn up and buy tickets on the bus. We recommend purchasing through the website to avoid disappointment. Do you require disabled access to one of our tour busses? Not to worry, we have wheelchair access on each and every one of our vehicles, including the LFC City Explorer tour and our group transport business, Maghull Coaches. The tours run Monday to Sunday. Every 30 minutes from each stop. Please Note : All Explorer Tickets valid for 24 hours from time of purchase.